What saddle did you find that worked with your OTTB? I have a TB which is extremely hard to fit. Most saddles are too narrow in the back and so puts pressure on her spinal column. Very ouchy! 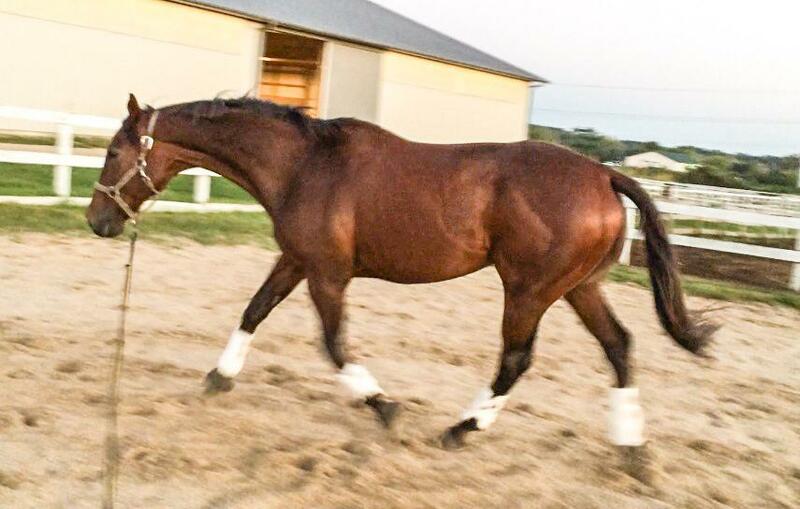 I would love to see my TB moving like this on the lounge line. In fact we can’t get her to lounge right now. Any thoughts on this would be appreciated. I am using a new Bates Isabell, with their Riser system, which allows me to add shims under the panels to achieve a good fit. I love the riser system for TBs because in addition to adjusting the gullet narrow enough for them, I’m also able to fill in those hollows on either side of the wither. It’s worked like magic for Derby, I couldn’t be any happier. The Isabell also really works for me as a rider – it’s a well balanced saddle. Good luck to you! I know how difficult saddle fitting is.